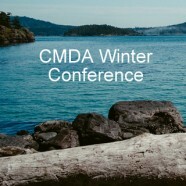 Consider signing up for the CMDA Northeast Winter Conference, January 15-17 at Sandy Cove on the Atlantic coast in Maryland. 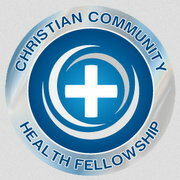 This annual conference brings Christians in healthcare from all levels of training and practice, specialty and disciplines – and their families – to the shore of the Chesapeake Bay with the express purpose of providing a restful environment in which to reconnect with God’s purpose for their lives. During this weekend you will learn about integrating a biblical understanding of health and personhood with medicine and be encouraged to discover the kind of medicine God is leading you to practice through our theme, Seeing Healthcare with New Eyes. Conference activities include meaningful plenary sessions, encouraging small group discussions, free time with organized and informal activities, an Attending Track, Healthcare Specialties Lunch, Children’s program, excellent food and facilities, and an amazing environment in which to reconnect with the Lord. This is a wonderful opportunity for Christian healthcare professionals at all levels of training and practice in the Northeast to take time away from the “hamster wheel” of modern healthcare practice and training for rest, encouragement and an opportunity to reflect on God’s call on their lives. Click here for more information about the Conference and how you can sign up!